The U turn makes the whole inflatable slide more exciting and with more fun. No matter kids or adult will enjoy themself with the big slide. 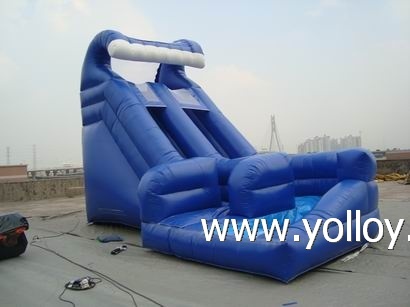 The inflatable slide is made with 1000D pvc tarps which is waterproof, UV-resistant, lead free and flame-retardant which can meet the standard of EN71. And we can give warranty of 3 years for this inflatable slide. Here are some other more detail pictures for this U ture inflatable water slide.